I did a search but couldn't find anything related to this but my search phrase may not be correct. On a 73 with no AC and no gauge package, is there an open keyed 12 V source under the dash? (12V on when the ignition key is switched on) I'm installing an Autometer oil pressure gauge (electric) and have been looking under the dash for keyed power. There are two open wires I have found but at this point I can't be sure what the color markings are due to access and lighting. One is an open single wire- looks like it is green with red dots and the other is a 4 wire connector (3 female/1 male) that looks like two green wires, a blue w/ red strip and a black wire in it. Does anyone know what these are for? The PO had done some questionable tapping at the fuse block to get keyed power so I have removed all of that and was hoping to find a cleaner way to do it. Forum member Midlife will have the best and safest answer for you. I am a mechanical guy, since I don't want to see your car go up in smoke I will leave this one alone. Your first plug/wire is the emergency brake switch. The second is the plug for the optional clock/map light. There is no available RUN-only line under the dash. You'll have to splice one in. You can use an accessory stud that pops into the fuse box. Midlife should have them. (02-12-2019, 07:17 AM)Hemikiller Wrote: You can use an accessory stud that pops into the fuse box. Midlife should have them. That line is ACC power, not RUN-only. You can use it for gauge power. And yes, I have that fuse buss bar extender. (02-11-2019, 10:57 PM)kcmash Wrote: Forum member Midlife will have the best and safest answer for you. Thanks! I will check out what Midlife says. (02-12-2019, 07:17 AM)midlife Wrote: Your first plug/wire is the emergency brake switch. The second is the plug for the optional clock/map light. 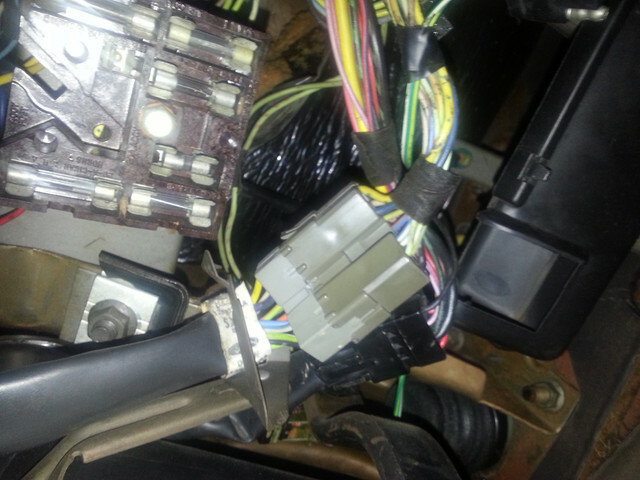 Should the emergency brake switch wire be connected to something?? I'm guessing yes? Hemikiller, Thanks for the info! Midlife, in your reply "That line is ACC power, not RUN-only" what is "that line" ? are you referring to the 4 wire connector? Is the fuse buss bar extender on your website? I will take a look. 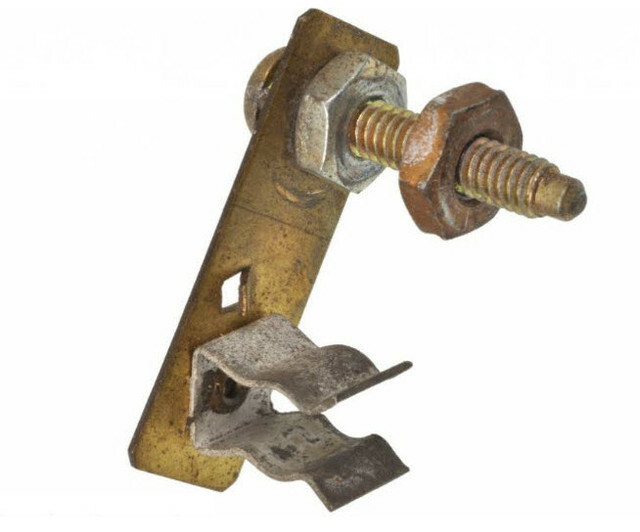 Buss Bar extender is a fused accessory post on the fuse box under the dash. Depending on your cars options you may have it or you may not. Cars that have a lot of options typically will have it. 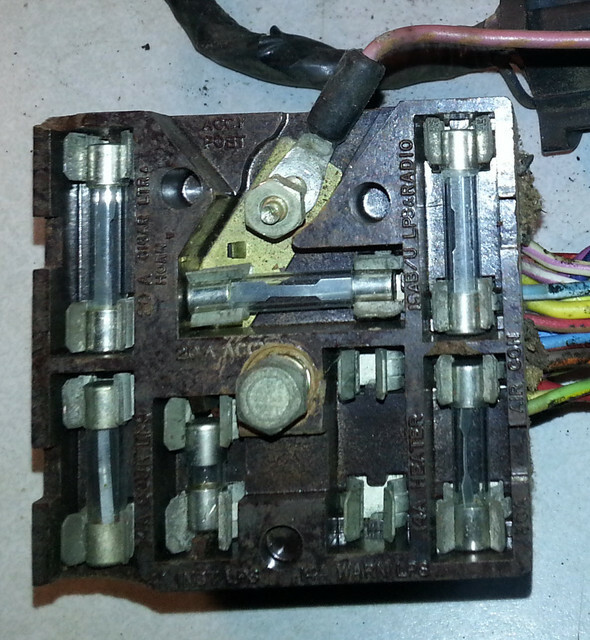 The first pic is the fusebox without it, The second is with it. The third is the buss bar extender. (02-12-2019, 07:19 AM)midlife Wrote: That line is ACC power, not RUN-only. You can use it for gauge power. And yes, I have that fuse buss bar extender. So is the last image the part that Midlife sells? Does this allow more than one item to be connected since the ends has 3 connectors?